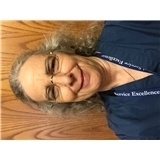 Tracey J. Fein, M.D., P.C. (New York) - Book Appointment Online! Tracey J. Fein, M.D., P.C. I hope to do something every day to try to make the world a better place for everyone and especially for my patients.